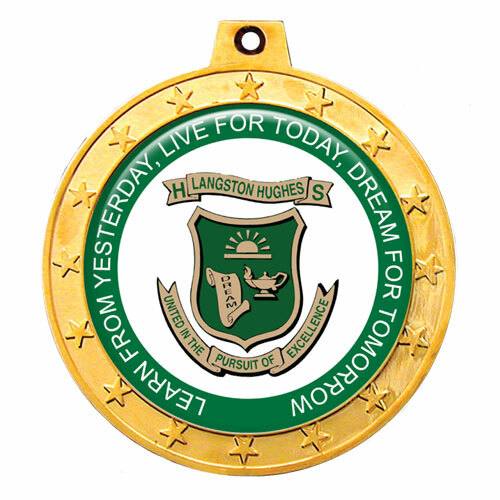 Extra-large, extra-thick medals with a full-color emblem and a strong, smooth epoxy dome. These heavyweight, super-thick medals are perfect for Martial Arts and Powerlifting tournaments, or any event where you want to make a powerful impression. Our art department is available to help you design your new medals. An epoxy dome is included with your custom emblem. Optional engraving available for $3.00(V) per line.